KLComunnications is inspired by thought leaders such as Surowiecki (wisdom of the crowds), Howe (crowdsourcing), and Searls (the intention economy). They have endeavoured to create a process that would bring customer insights at the inception of the ideation process. Their goal is to gather customer insights and inspire the traditional ideation teams. According to them, this will solve two traditional problems with customer input to the ideation process. The first problem that can be solved is that ideas typically come to late in the process. The second problem is that companies do not believe that customers know anything about the ideation process. But when customer insight is positioned as “inspiration” this can be very valuable for the company. 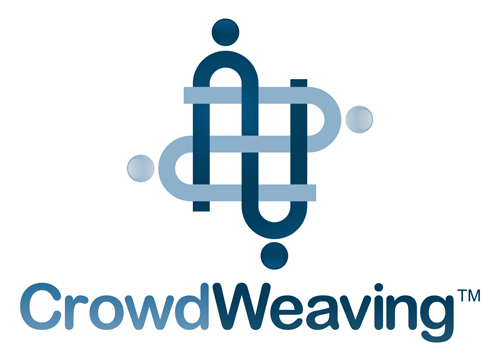 CrowdWeaving Ideation Sessions are a dynamic, collaborative process, engaging consumers, marketers, researchers, and all internal stakeholders. During these sessions, consumers provide creative ideas and solutions to a challenge or problem. Ideation Sessions begin by issuing a challenge; then participants create solutions through a multi-step process. It starts with independent idea generation, than collaboration, idea evolution and it ends with ranking & passion measurement. Through this creative process KLComunnications will gain deeper insight into consumers’ key needs and drivers of behaviour. Their curators use unique tools to filter, synthesize, and analyse ideas to uncover key opportunities for innovation. They use their unique Passion Index, which allows them to prioritize the ideas and determine the best opportunities for innovation. This index goes beyond an idea’s popularity and finds those that have passionate support from a small, niche group. In short, they engage consumers to share their knowledge and ideas in a more useful way for any company. Companies can use this knowledge to become better in what they do and in how they do it. This can eventually saves a lot of time and money, and if consumers notice that their ideas are being uses by a company, they automatically feel more engaged. These consumers will mark that company as one that “listens to their consumers” and this will result in more customers because others will hear that through (electronic) word of mouth. The emphasize lies on co-creation and this will provide companies iterative feedback throughout the development process instead of periodic check-ins at key milestones. This will help companies innovate faster and with greater confidence, while empowering customers to be part of the creative process. Previous PostGoogle & Facebook helping out Nepal.Next PostCan we give Joe his Brazilian babes back?